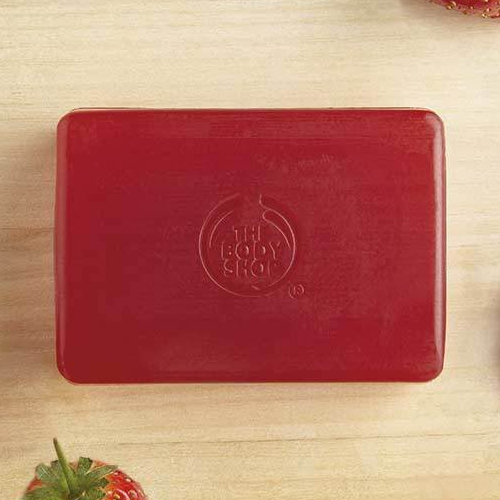 Wake up your shower with fresh bursts of strawberry. 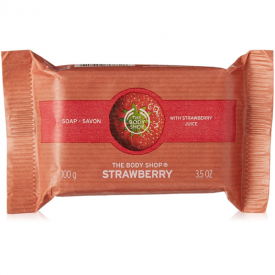 Work this vegetable based bar into a rich lather for skin that feels thoroughly cleansed. 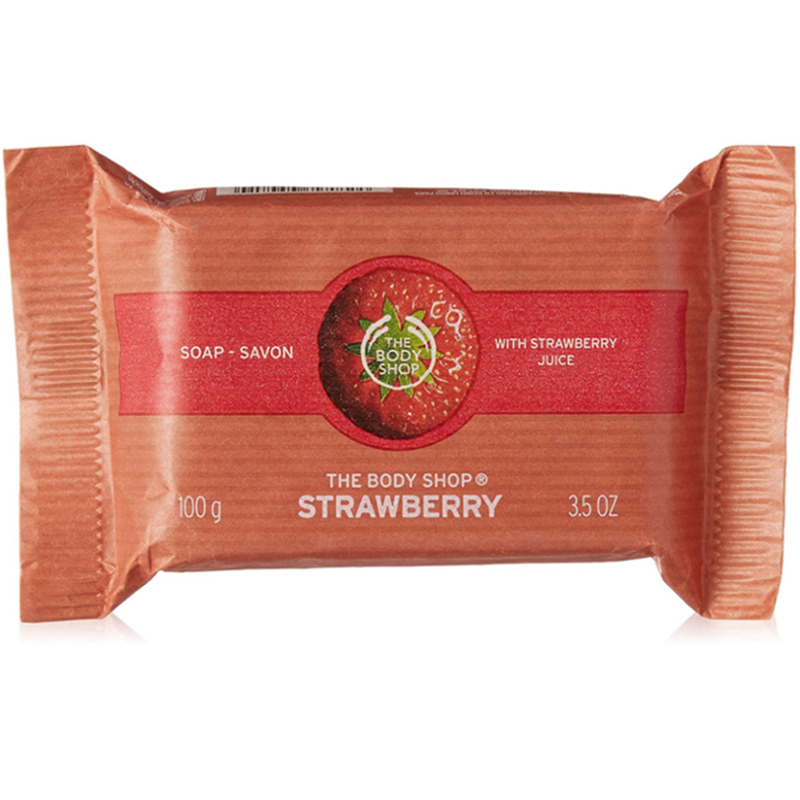 Strawberry seed oil will leave you refreshed. 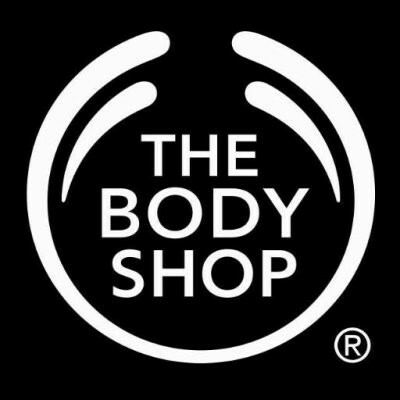 I've been an on and off user of The Body Shop soaps. I like them due to the company's policy of using natural ingredients. I also love coloured soaps, somehow they make a shower start of the day more cheerful. This particular one I decided to try after enjoying grapefruit and mango varieties, and despite that in all other soap-related respects this one is great (lots of lather, nice feel of the skin after washing, etc.) the smell actually put me off. It was quite artificial and chemical and I simply did not like it. I guess it is just my inner perk. Nevertheless, I can recommend this soap to those who like the scent. From the age of 9-13 i collected fruity soaps and bath pearls and this was one of my favourites. It fills the room with the scent of strawberrys. 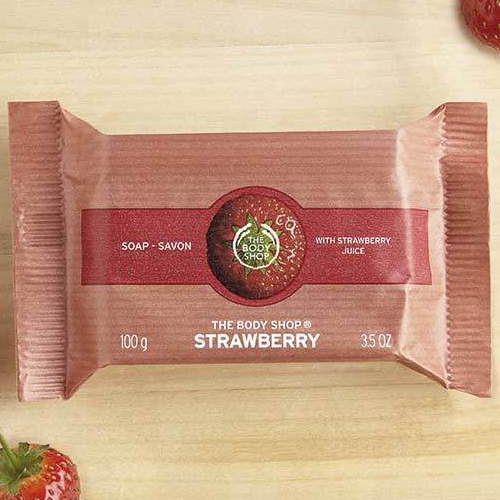 This soap lathers up well and leaves the skin feeling fresh and fruity. Good company ethics, great fragrance, value product, widely available. This product has minimal packaging which is in line with the company's ethical values. The scent of the bar in the bathroom is just amazing and makes the mouth water. The product lathers well and smells lovely, but does not linger on the skin. Easy to use, good colour and nice fragrance. I really liked using this soap, only problem is after a while the bar dried out and cracked so I had to throw it. Used regular though it should be fine. Left skin nice and clean with a very subtle hint of strawberry left behind.